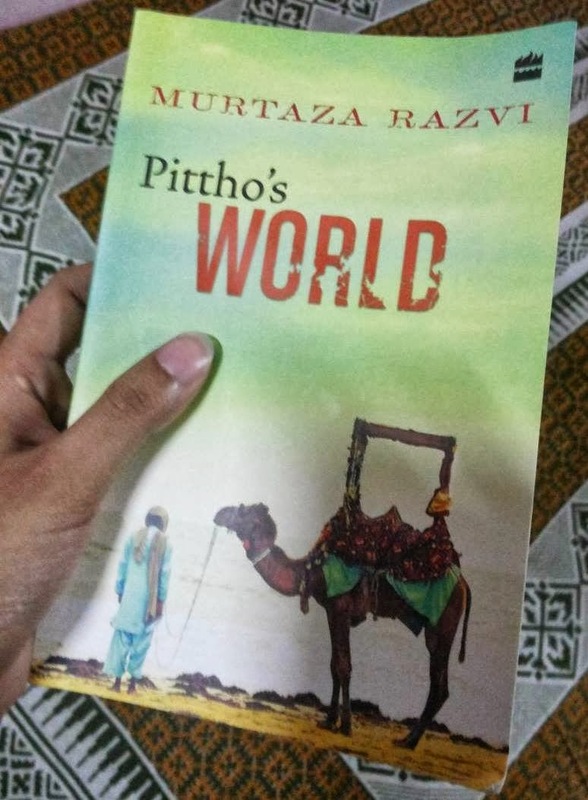 Pittho's World is the magical domain of storytelling, of Sheikhu and his lover Rani, of parents, Big Brother, uncles, aunts and grandparents. And of course, Aunt Pittho, she of the big hips, wielding magic and a stick. The stories originate in Iran, move through Afghanistan to Pakistan, Bangladesh and India, before returning to rest in Pakistan. Spanning two centuries and several generations, these are tales of love and happiness, tragedy and malice, black magic and manslaughter, linked together by two peoples love for storytelling, and for each other. Published posthumously, this delightful work of fiction by one of Pakistans best-known journalists transports us to places and times long lost to humanity. They are stories of life, but also of death which waits at the end, leaving in its wake a loneliness that lingers. Murtaza Razvi (1964-2012) was a journalist with Dawn Media Group. His first book, Musharraf: The Years in Power, was published by HarperCollins India in 2009. Sheiku is the story-weaver. He rekindles the memories of the people in his life and tells their story to his beloved Rani. Sheiku is confused. He lives in his past and is reluctant to move on; whereas Rani is more rational. She encourages Sheiku with his story-telling capabilities and willfully at times and forcefully many a times lends an ear to his stories. And so many-many more other characters... who come... leave a mark in our hearts... and leave! Pittho’s World is nothing but the story of Sheiku and his ancestors. The idea is novel and the story moves from one generation to another. It beautifully depicts how one’s ancestors influence their thought process and lifestyle. This is the first time that I am reading a book by a Pakistani author. It was a déjà-vu for me to read about the partition of India and then Bangladesh; its impact on people and their lives. The narrative flows with an ease. Each story is arranged into independent chapters and it is crisply edited. There is neither over nor under detailing. I would say that the beauty of the book lies in its editing and the simplicity in the writing style. I loved the idea of someone telling the story of one’s own family. It made me wonder how much I know about mine. Apa, Sehiku’s rebellious aunt, stays in our heart after conquering it. The cover page is a big disappointment. It doesn’t depict the essence of the book. Similarly, the title of the book is not apt. Pittho is Sheiku’s aunt and a couple of chapters talks about her. But this is not Pittho’s world, it more of Sheiku’s world and Rani’s nights listening to Sheiku during the bed time. To a major extent, even the book blurb doesn’t really give away what is awaiting us when we read through the 204 pages. There is no story per se and it just meanders through the memory lane of Sheiku. This lack of purpose makes us wonder what the book was all about. This would qualify more as a collection of short-stories than an endearing fiction. Of course; more so owing to its incredulous pace! There is not a moment where you would get bored. And the book itself is so tiny that you don’t need to devote much time.